There are several ways to look up our batteries. Use this link to the AcDelco parts lookup, or our BCI chart. Here are some instructions, with pictures, on how to use the site too look up your battery. I will demonstrate by looking up a battery for an 01 Hyundai Tiburon. your engine size. In this example there is only one engine size. 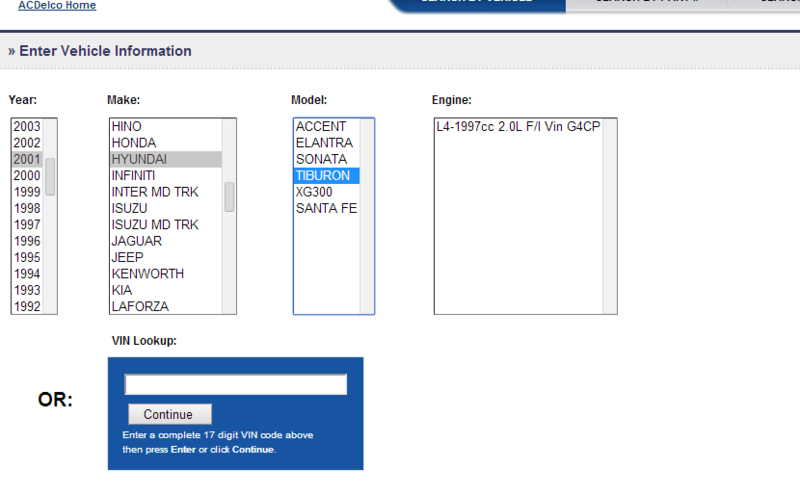 You can also enter in your 17 digit vin number in the box in the bottom. 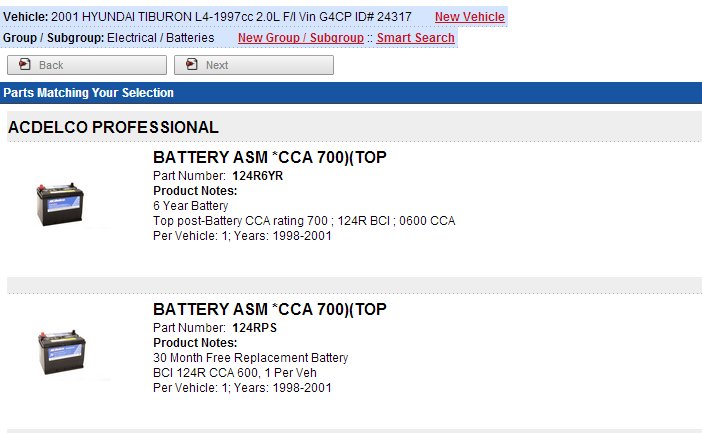 After you have chosen your vehicle, you will click on the "Electrical" group, and then the "Batteries" subgroup. it easily. In this case, my battery is $89.96 with a $20 core. All of our batteries are free replacement and are not prorated. Why would you buy a generic, low quality battery at a higher price? Our batteries are better and competitively priced!